Where Are They Now? 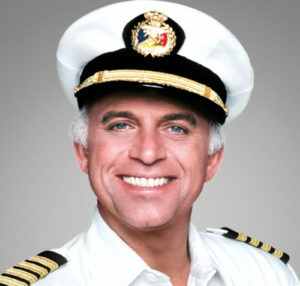 Gavin MacLeod of "Mary Tyler Moore" and "Love Boat"
Being himself as an actor worked. 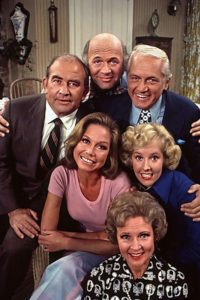 For 17 years, MacLeod was a television fixture, first as MTM’s Murray Slaughter for seven seasons and then 10 seasons as The Love Boat’s Captain Merrill Stubing (1977-1986). MacLeod writes in This Is Your Captain Speaking, a 2013 autobiography, that playing sweet-natured TV newswriter Murray changed his life, even bringing into it cast members who remain lifelong friends. During The Mary Tyler Moore Show days, he visited local TV studios to promote the show. “No matter what studio I would visit, every studio had a Ted Baxter and a Murray,” MacLeod recalls. Off-screen he was close friends with Ted Knight, who played Baxter, the buffoonish news anchor, from the late 1950s until Knight’s 1986 death. 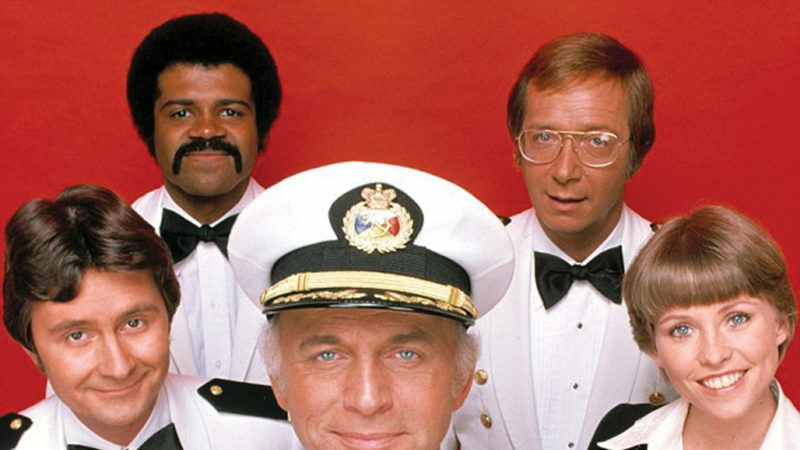 After the show ended, MacLeod quickly transitioned to the lead role in The Love Boat, a popular comedy-drama in which episodes revolved around the captain, crew and guest-star passengers on a cruise ship. 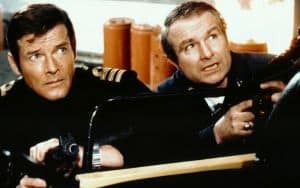 “We went out six weeks a year on a Princess ship. We were [filming] in Mexico for years and then started traveling to [places like] China, England and Japan. We had guest stars every week, people like Carol Channing, Cab Calloway … I was in actor’s heaven!” he says, laughing. After the show ended, MacLeod became a Princess Cruise Lines spokesman, a post he holds to this day. It was heady stuff for MacLeod (born Allan See), the older of two boys who grew up poor in Pleasantville, N.Y., and dreamed of becoming an actor. MacLeod’s father co-owned a gas station and died at 39 after a battle with cancer when MacLeod was only 14. A scholarship enabled MacLeod to earn a degree in drama from Ithaca College. His résumé is broad. MacLeod’s first TV role was a small part in Lamp unto My Feet, a religious show that aired on Sunday mornings on CBS from 1948 to 1979. His first movie: I Want to Live! (1958), which earned star Susan Hayward an Oscar. He appeared on the 1958 pilot episode of TV’s Peter Gunn; in Broadway, theater and television roles; and in films like Operation Petticoat (1959) with Cary Grant, The Sand Pebbles (1966) with Steve McQueen, and Kelly’s Heroes (1970) with Clint Eastwood. He and his second wife, Patti, divorced during The Love Boat days but remarried in 1985 after both had “born-again Christian” experiences. MacLeod’s turning point came when he prayed for his mother, facing life-threatening brain surgery, and promised God he would “live for Jesus” if she survived. She recovered, not dying until 2004 at age 97. Reunited, he and Pattihosted a show focusing onlife/marriage challenges,Back on Course, for 17years on TBN. In 2009 hestarred in The Secrets ofJonathan Sperry as a man who leads Bible studies for neighborhood kids while living out Christian teachings. “I call it the little movie that could … That movie brought thousands to Jesus,” he explains.